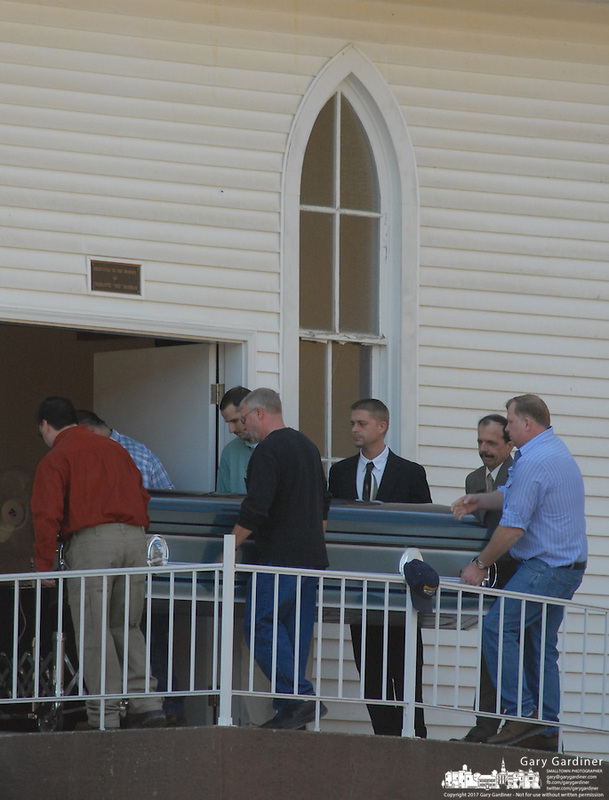 Pallbearers carry the casket of Sago miner Fred Ware into the Sago Baptist church near Buckhannon, WV, Monday, Jan. 9, 2005, for his wake. Ware is one of the 12 miners killed in a mine explosion at the Sago mine near the church. (Gary Gardiner/EyePush Newsphotos)..